Self sufficiency begins with cell efficiency. When your cells are balanced and working at optimum efficiency, your body is strong and healthy. We at Karuna Flame, after examining the data, confirm that ASEA is the first and only stable and bio-active solution that optimizes cellular efficiency and communication through the power of Redox Signaling, thereby helping your body heal and recover itself. If the body has Redox Signaling suppressed, it is than difficult to achieve optimal functioning of the entire organism. To clarify, we are not talking here about vitamins, herbs, mineral supplements, amino acids, fatty acids or any of the functional food drinks. Redox Signaling Molecules belong to a very different league all together. Not many people realize that Redox Signaling Molecules have now over 300 peer reviewed medical studies published monthly – each study is an average of 9 months – it is the FASTEST growing field in the health sciences. It has been discovered that antioxidant supplements are much more effective in the body in the presence of Redox Signaling Molecules. In fact it has been demonstrated that ASEA can increase effectiveness and potency of native antioxidant Glutathione by approx. 500%. And bear in mind that it is Glutathione, which is involved in detoxification of poisonous heavy metals i.e. Mercury! And did you know that Redox Signaling Molecules also are required for Stem Cells to work (Stem Cells are the very cells which promote rejuvenation of tissues and organs) – basically Stem Cells do not know where to go or what to turn into without these Redox Signaling Molecules. It is important to realize that ASEA is the only genuine source of perfectly balanced Redox Signaling Molecules found outside of the body. 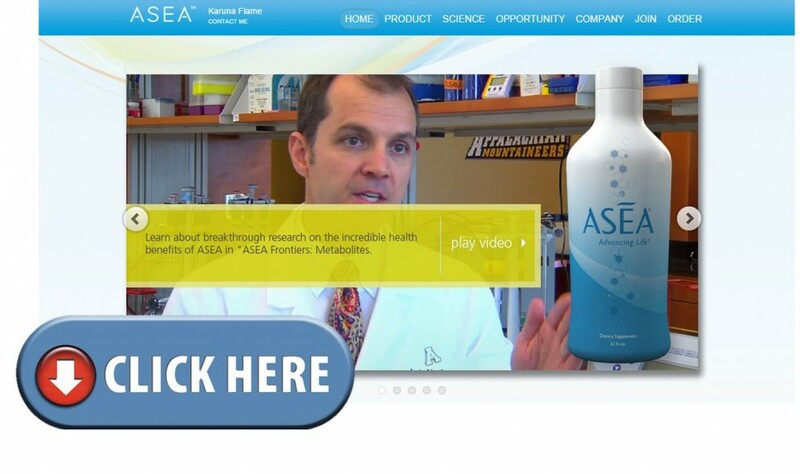 ASEA is beyond natural because it is simply native to physiology and biology of our bodies. It is therefore 100% safe with zero toxicity at any dosage. Asea company has discovered, developed, and patented a unique and astonishing product that is fast becoming a phenomenon in the health and wellness world as well as the world of athletics. Our mission is to inform as many people as we can about this incredible breakthrough in overall health and wellness at the body’s most basic level, the cell. Are you now more intrigued?